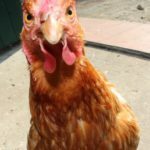 Chicken Camp for Beginners: This seminar is open to everybody interested in training the animal friendly way. True Horse Agility training day: We offer to you the opportunity to experience hands-on our versatile playground for horses as well as the Steigerwald.Training & Therapy equipment. Coached by experts, you will be able to test them with your own horse. 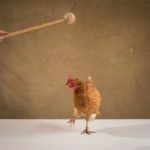 Chicken Camp -module 1- Timing, criteria and rate of reinforcement: Preconditions for good training are solid basics. In R+ training these are timing, criteria and rate of reinforcement. 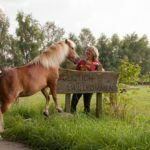 Crash course clicker training equines: Whether it’s from basics to parcours training or the purposeful use of Steigerwald.Trainings- und Therapy Equipment – this seminar offers all possibilities thanks to individual coaching. 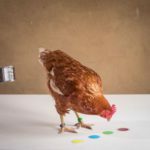 Chicken Camp -module 3- Cues and cue control: In dealing with animals it is not only important to have a certain behaviour in place but also reliably on cue. 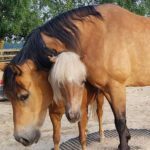 Training Specialist for equines -module 9, 2019- Complex assignments: Engross your skills and knowledge by applying them to complex assignments. 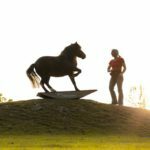 Training Specialist for equines -module 10, 2019- Complex assignments: Engross your skills and knowledge by applying them to complex assignments. Training Specialist for equines -module 3- Cues and cue control: Absolutely necessary for some behaviours, very fun for others: Behaviour executed promptly and exact on cue! 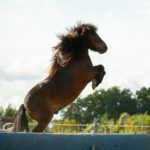 Training Specialist for equines -module 4- Criteria in Training: Learn to point out your criteria in training more clearly and apply them consequently so your animal can easily identify the profitable behaviour.